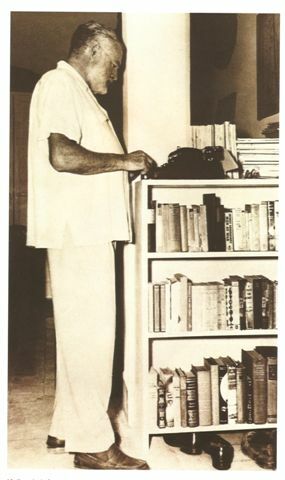 Hemingway had back problems that caused him to type out his stories while standing at a tall bookshelf. I flashed on that image this morning as my back was talking to me. We writers spend so much time sitting. And today, instead of doing more of what my body needed, like taking a walk or attending a yoga class, I spent ten minutes doing some stretches and core strengtheners and then popped two Alleve. Because I needed to write. Once I read the agent email, I couldn’t resist the rest of my in-box. I should have written my 1,000 words first because email led to Facebook which led to blogging. But at least the meds are kicking in so I can stay at the desk for a few more hours. The question is: should I? I’ve been working on my body/mind connection this summer, which has led me to the unhappy realization that in some major ways, despite all the strides I’ve made, I am still out of touch with my body and its needs. I’m good at listening to my intuition. I’m great at catching the voices in my head and putting them down on paper. I love thinking and planning and creating. But when it comes to hearing my body’s language, I’m still a beginner. The proof: taking pain medication so that I can write, which makes my writer’s mind happy. Obviously, I need balance. I need to walk more and sit less. Unless I want to make like Hemingway, I’m going to have to incorporate more exercise into my daily life. How many hours are there in a day? Surely you can find a way of doing a bit of both… lol. Hell go for a walk, find a bench and pull out your notebook and pen, dictate into a little cassette recorder or mp3 player. There are many ways to do things.